He seemed sorry for something and then said the Global Leadership Summit would continue doing good work as in the past. Many would disagree with De Vries self-justification. He said there will be three commitments. One is to promote an independent investigation of allegations against Hybels. A second commitment is to explore power dynamics between men and women in the workplace at the summit and then a commitment to extend the topic after the summit. He also addressed why the WCA didn’t cancel the GLS this year. Essentially, he said leaders have to step out and do something (as if pausing isn’t doing something). Then he said they are doing it for the women attending and used numbers of host sites that don’t match his own website’s numbers. In other words, the world can’t go on without the GLS. It is this attitude (the world needs us) that turns me off and strikes me as presumptuous. I am open to reasons why the show must go on. Maybe somebody’s livelihood is dependent on it. I get that. But don’t tell me that the sun won’t come up or that women around the world would be lost without you. I think this is what gets evangelical pastors — like Bill Hybels maybe?– into trouble. I think Mr. De Vries expressed some of that too. The GLS must go on because we need it to. No, actually we don’t. Find some other reason. Image fair use from GLS conference website. UPDATE: In a statement issued at Willow Creek Church tonight, three steps were outlined. All elders of the church will step down by the end of 2018, the church will hire a consultant to assist with governance, and another committee of Christian leaders will conduct an investigation of the allegations of misconduct against Bill Hybels. Also, pastor Heather Larson announced that she is stepping down as a pastor. Essentially, it appears that the entire leadership team is moving aside. The news of the elders and Ms. Larson stepping down was greeted with loud applause from the members of Willow Creek gathered in the meeting. Also speaking was Steve Gillan who will be the interim pastor during the transition. Gillan is currently pastor of Willow Creek North Shore. The statements from elder representative Missy Rasmussen, pastor Heather Larson and interim pastor Steve Gillan can be seen in full here. There are persistent rumblings out of Willow Creek that the elders of the church will resign over their handling of the Bill Hybels situation (for more on this, click here and here) perhaps as soon as tonight. The elders have been under tremendous pressure due to their response to public and private allegations of misconduct against the former pastor of Willow Creek, Bill Hybels. Many inside and outside the church have questioned their reluctance to initiate an independent investigation of the allegations. The church’s troubles have come into public view recently due to the start of this year’s Global Leadership Summit tomorrow. Many churches and simulcast hosts have backed out over the allegations. Five speakers including Denzel Washington have pulled out of the conference. I will update this post as I get new information. UPDATE: Just this morning, Willow Creek has deleted two more sites. I suspect this will continue through the beginning of the conference. As the beginning of Willow Creek Association’s Global Leadership Summit nears, the number of host sites continues to decline. Despite the promotion of 600 sites on the conference website, a count of the number of publicly available sites has now fallen to 485. According to Willow Creek Association, there are additional private sites and some in prisons. However, for people wanting to sign up for the GLS, the number of options continues to decrease as the conference draws near. 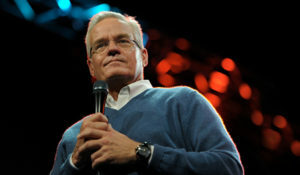 Willow Creek Association continues to say that only 111 host sites have dropped out over the sexual misconduct allegations against Bill Hybels (e.g., to Christianity Today). However, a check of the sites posted on the GLS website indicates that more sites have dropped since I last checked. At the beginning of 2018, Willow Creek promoted the GLS with claims of 700 host sites for the conference simulcast. Sometimes in leadership, a leader must lead by not leading. What I mean is that followers simply won’t follow under some circumstances. I believe Willow Creek leaders are now in that position. I don’t think it matters what they do, they are compromised and their best leadership move is to step down. They may not believe it is fair and they may believe they have done their best. Nonetheless, the perception is that the situation is getting worse and that a reset is needed. The GLS will be tainted by the Hybels’ controversy and the failure to handle it properly. Much of what is presented in the sessions will be compared to what has happened at Willow Creek. Maybe I’m wrong, but I sense that a situation is being set up where it will seem that the GLS speakers will talk about leadership without actually leading. New York Times Sunday article with new allegations against Hybels which he denies. Scot McKnight’s response to Willow Creek. If God told that person something, then the conversation ends. One can’t debate or question that which is of God. It could well be argued that if indeed the GLS is God’s event, the WCA ought to hit the pause button this year! After all, God is the Defender of the oppressed. The women have been oppressed at the hands of the powerful. First, by Bill Hybels, and more recently by the leadership of Willow Creek. Until the truth is revealed regarding the women’s claims, would it not be wise for the WCA to err on the side of caution and on behalf of the women who claim personal violation? It seems obvious that Willow Creek leaders presided over a massive failure of leadership. To put on a leadership meeting and think that a 10 minute acknowledgement will address the issues is another sign that the leaders need to be taught not teach. Go read the rest of Speight’s piece here. Eagle Brook Church in the Twin Cities area of MN is not going to host the Global Leadership Summit this year. Although this decision has been made for awhile, public disclosure of it has been limited. Back in May, Benjamin Ady tweeted this letter which the church sent to those who attended the GLS in the past. Because you’ve been involved with the Global Leadership Summit in the past, we wanted you to be among the first to know that we’ve decided not to host the GLS this year. In all of the years we’ve been connected with the GLS, we’ve so appreciated the wisdom it’s instilled in our leaders, our attenders, and so many others in our community. However, this year we felt it would no longer uphold the standard of excellence and integrity it has previously been known for due to the recent accusations surrounding Bill Hybels and his subsequent resignation. Because of all this, we decided to step down as a host site. If you’d like to know more about this decision, here’s a note from our senior pastor, Bob Merritt. From the moment the accusations regarding Bill Hybels became known, the Eagle Brook Executive Team met every week—and ultimately, we decided we could no longer host the Global Leadership Summit. We have labored over our decision and understand the full ramifications of it. We have decided not to host the Summit this year for two primary reasons. First, we believe the value of the Summit has been compromised. Bill was historically a big draw for us, and as we evaluate this year’s lineup, we don’t believe it will offer the same value for attenders. The second reason has to do with our own credibility and reputation. In the end, it would be a lot harder for us to defend why we’re hosting than it would for us to defend why we wouldn’t. It’s not an easy call either way, but we are simply not willing to risk our own reputation for the mistakes that Bill and Willow Creek made. We are not trying to make a point, and we are deeply saddened by all that’s happened. But we believe this decision is best for our church. We are grateful for the positive impact the GLS has had on our church and churches all over the world. If the GLS can right the ship and find a new leader or a greatly restored leader, we would consider hosting again. Currently, if you count Willow Creek Church as one location, 494 simulcast sites are listed on the conference website as participating venues. Willow Creek Association started the year with 700 sites. On Wednesday, I asked Willow Creek Association how many churches had dropped out of their Global Leadership Summit due to allegations of sexual harassment against Bill Hybels. Two days later, WCA answered the question in the Christian Post yesterday saying 111 host sites dropped out as a “direct result of sexual misconduct allegations” which led to Bill Hybels’ resignation from Willow Creek Church and related ministries. In contrast to more confident comments made to the Daily Herald in early July by WCA president and CEO Tom DeVries, WCA’s statement yesterday said attendance will be affected. According to the July 2 report, DeVries said that attendance was not expected to suffer due to the controversy over Hybels. 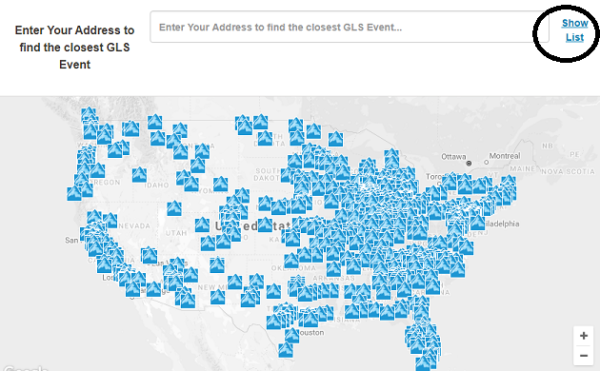 Yesterday, I demonstrated how in Jaunary of this year WCA had advertised 700 host locations for the simulcast of the GLS. Currently, WCA is advertising 600 plus on the front page of the conference website and “over 500 locations” on their location search page. However, the actual number has fluctuated between 494-497 during the past week. Thus, it appears the drop in venues is over 200 venues (almost 29%) since the beginning of the year. Perhaps some have dropped out without giving a reason or for reasons other than the Hybels’ controversy. After much thought and prayer, we have decided that Vineyard Cincinnati Church will not be a host site of the Global Leadership Summit this year. We are reminded from Scripture that God calls us to defend the vulnerable — the orphan, the widow, the oppressed and those who suffer under the misuse of power. In short, God cares deeply how those who possess power use that power. We pray that women everywhere who have suffered would see that God’s people stand with them and love them and care for them. If you are associated with a church/venue which has canceled and have a comment please get in touch with me. Likewise, if you are associated with a church/venue and plan to go ahead with the event, let me know why you are doing so. At the beginning of 2018, the Willow Creek Association proclaimed that they had 700 venues participating in the simulcast of the Global Leadership Summit. Today, on the conference website, two claims are made. On the front page, organizers say over 600 venues are available. However, if you click on the link which allows you to find a venue near you, a different number comes up. However, there is a problem. If you click the “show list” link and count the number of venues, only 494 are currently listed. I suspect, Willow Creek Association knows this but hasn’t changed the website again because less than 500 doesn’t sound as spectacular as “600+” as the front page of their website currently boasts. What would a leader do? Churches and speakers have dropped out of one of largest evangelical leadership gatherings of the year. Will it make any difference to Willow Creek? Coming August 9-10 is the Willow Creek Global Leadership Summit. This international event has in the past involved over 600 locations in the U.S. and some of the biggest names in Christianity. Over the years, millions of Christians have watched on location at the church near Chicago or at a simulcast venue. However, this year some changes in the speakers and the venues have happened as a result of the scandal which has engulfed the church since Bill Hybels announced in October 2017 that he would retire in 2018. Then in March of this year, the Chicago Tribune published a story with the disclosures of women alleging misconduct against Hybels. The next day Hybels denied the allegations and then in April he stepped aside from all Willow Creek activities, including the Leadership Summit. Numerous observers have faulted Willow Creek’s leadership for their handling of the allegations before and after they became public. In reaction to the situation, three speakers who had planned to speak to the GLS — Denzel Washington, A.R. Bernard and Lisa Bodell — pulled out. You can see the full line up remaining here. Even though the show is going on, a unknown number of churches and venues have pulled out. According to Australian Benjamin Ady, 120 churches have canceled involvement in the GLS since April. Ady told me that altogether over 200 churches have backed out of hosting the event but he hasn’t confirmed the reasons. Ady contacted all the venues he could find to ask them to consider pausing their involvement to show support for the women who disclosed their experience with Hybels. In light of the allegations now swirling around the former senior pastor of the Willow Creek Community Church AND the larger national movement drawing needed attention to the stories of women treated in harmful ways, this message comes to inform you that Christ Church will not serve as a host site for the Global Leadership Summit (GLS) this coming August. For those of you who have registered for the conference or planned to bring others, I know this may be a shock or an inconvenience. I apologize for that. This is why I am writing to you. I wrote the Willow Creek Association to find out if the drop outs have hurt their registrations or projected attendance. After a day, I have not received a reply. I have not been able to independently confirm that all 120 churches have pulled out. WCA did make one response to the controversy which was to inform their members and constituents that the conference would go on without Hybels, Denzel Washington, A.R. Bernard and Lisa Bodell (Read the letter here). According to the website, there are plenty of locations if one must be schooled in Willow Creek methods of leadership. However, it may be worth reflecting on what leadership would look like in this situation. Some leaders have decided that the best lessons might come from not attending.